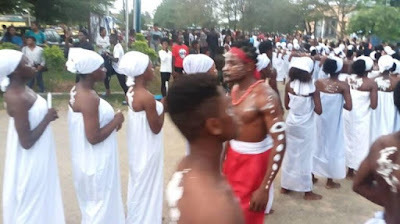 Some Jambites (100 Level students) scared off their colleagues during an induction that continued to later this evening. 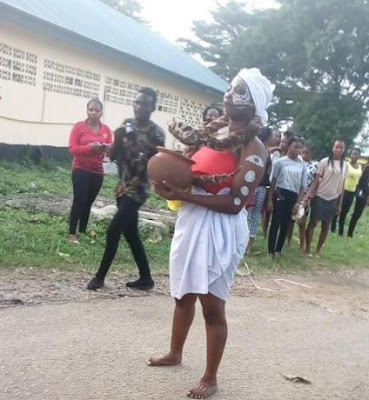 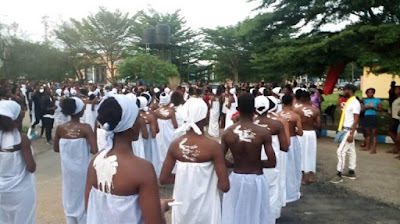 The Creative arts students dressed as witches and native doctors held candles, snakes and other fetish items as they were paraded within the campus of the institution. 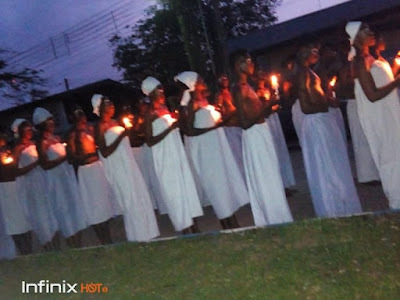 Here are some photos from the witchcraft-themed induction ceremony.